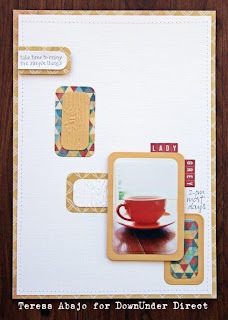 Today we have a lovely layout to share. 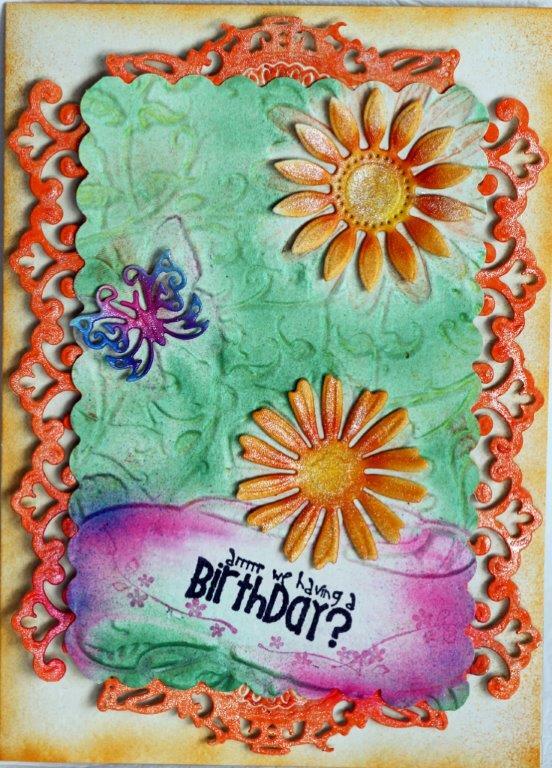 This card was fun to put together. A home made stencil, some Grunge Paste, colour sprays and Spellbinders dies - what more does this girl need to have a messy good time? 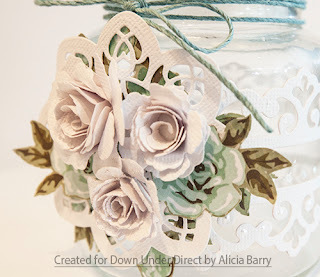 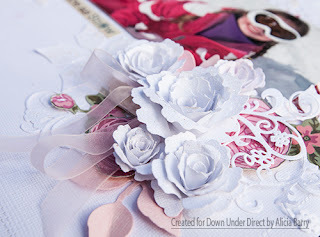 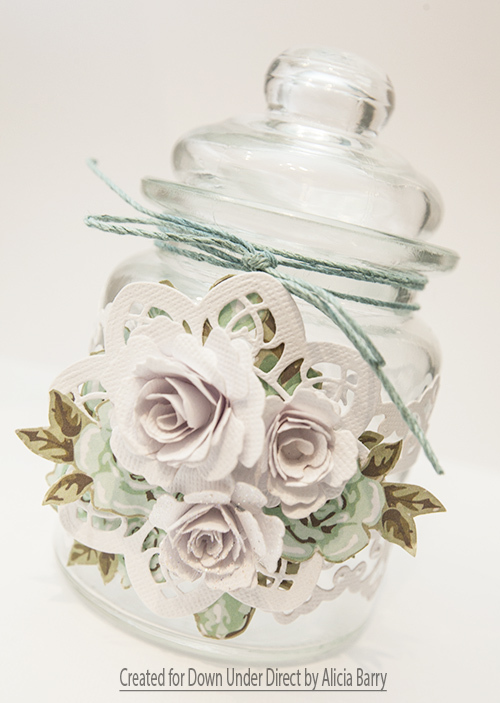 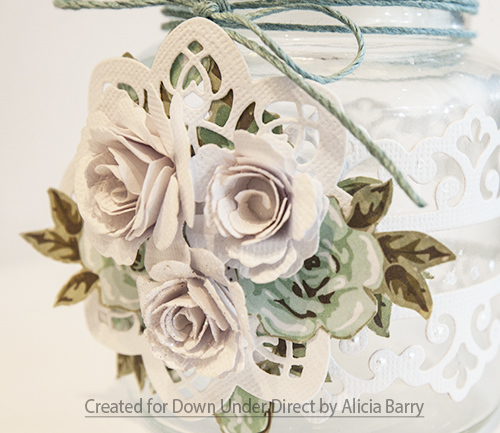 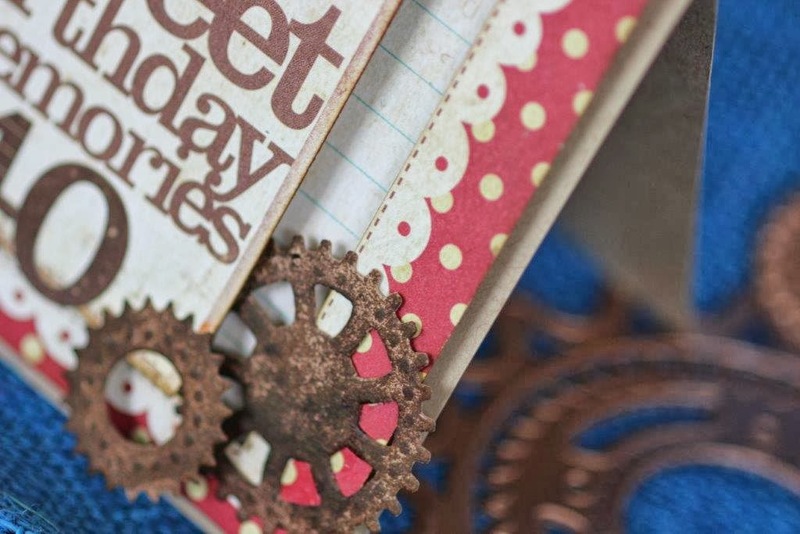 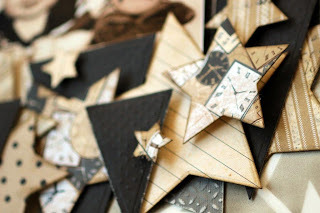 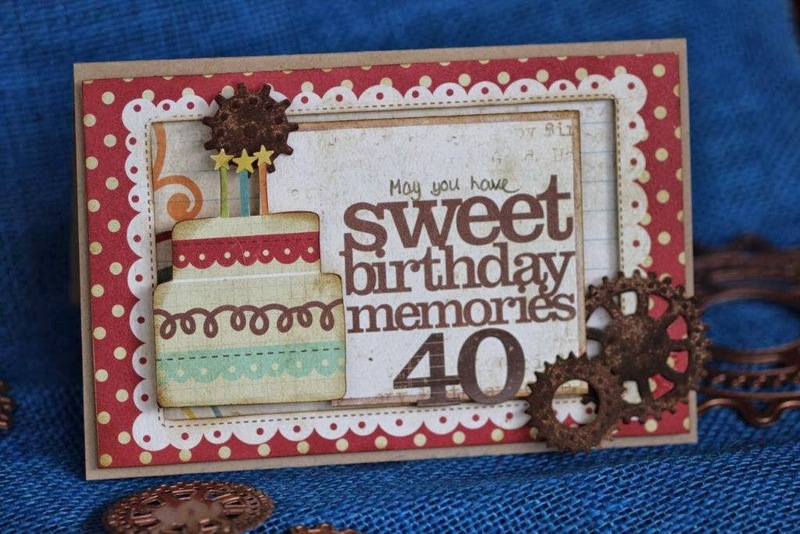 This is so easy to put together with a couple of die cut pieces and some cardboard in between – beautiful for a special friend. 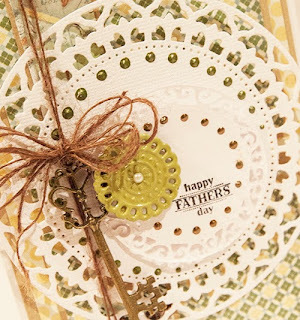 This card didn't quite make it in time for Father's day, but with a change of greeting it is suitable for any occassion. 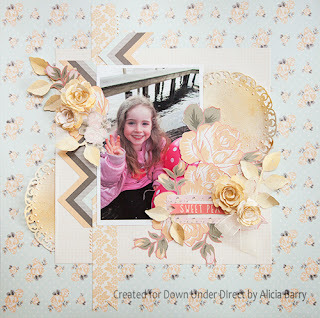 Today we have a very pretty all occasion card from Alicia. 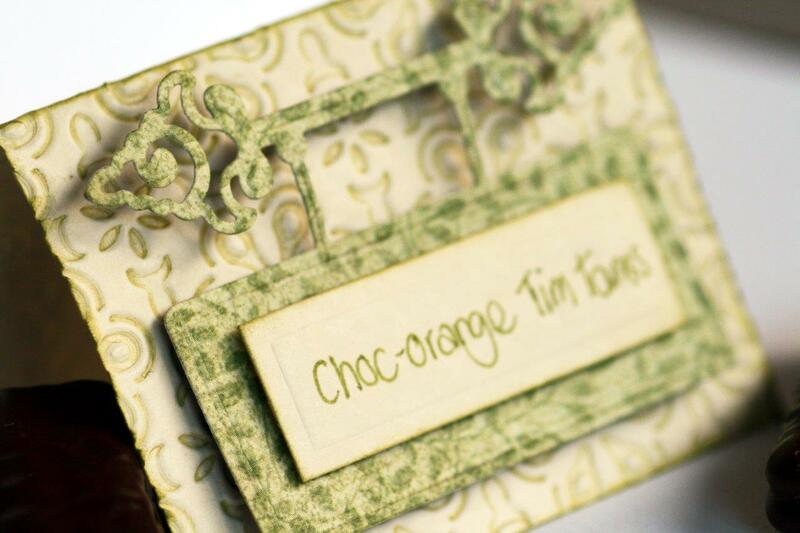 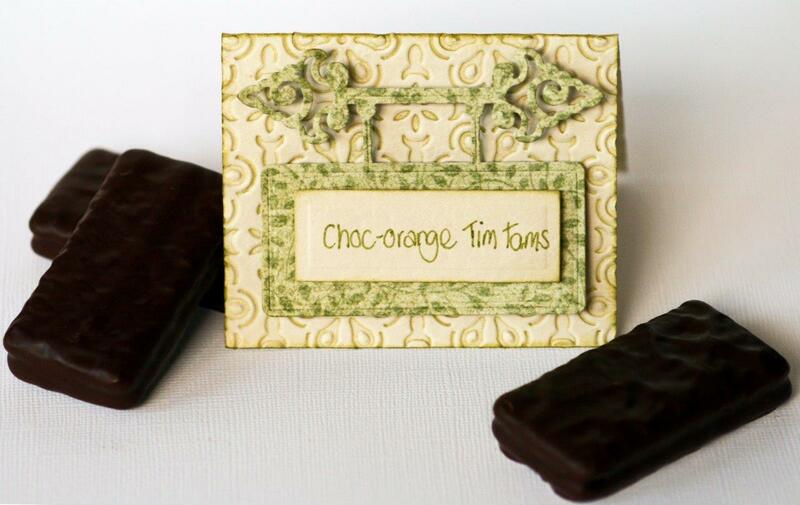 Spellbinders Labels dies provide wonderful shapes for chalkboards. 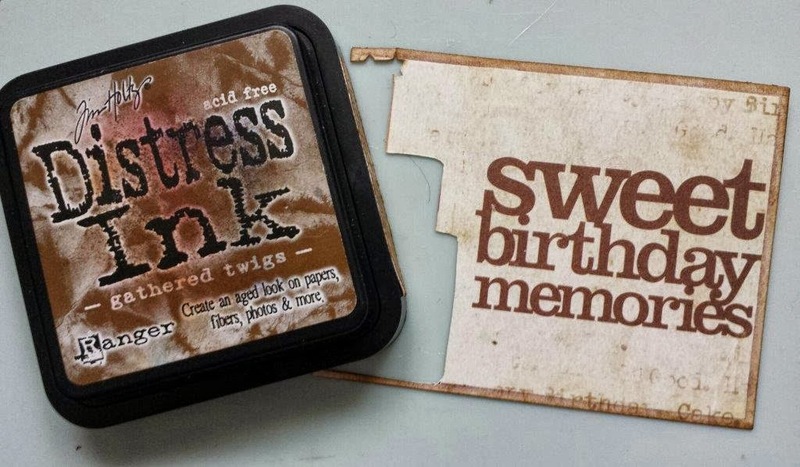 Here I have cut out a Labels Twenty Eight shape, stamped with white ink and then smudged it to make it look dusty. 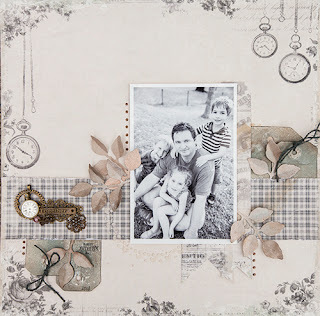 To match the simple image of the photo, the rest of this layout was kept simple as well. Today we have an idea for a place card from Beck. 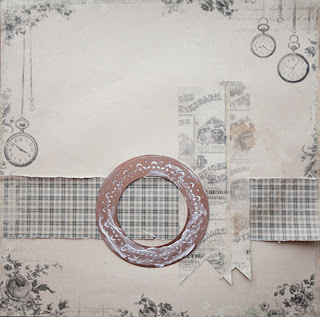 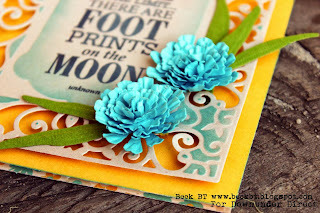 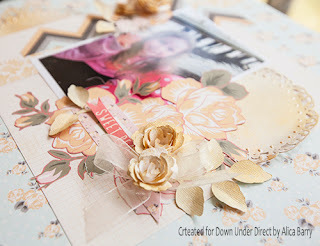 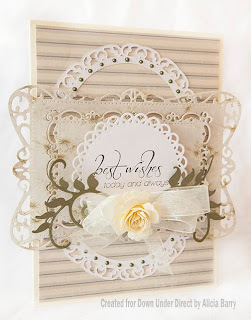 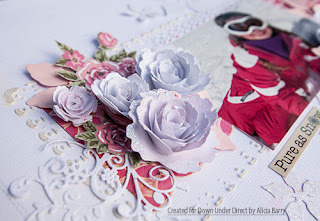 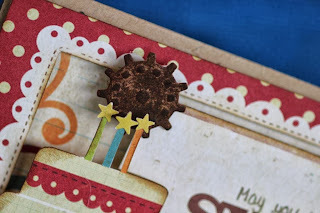 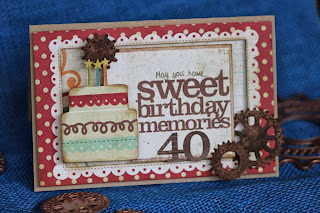 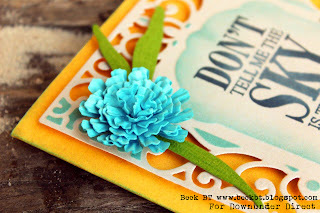 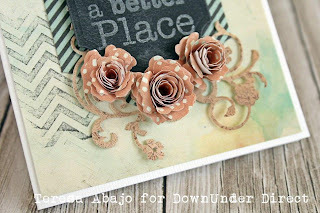 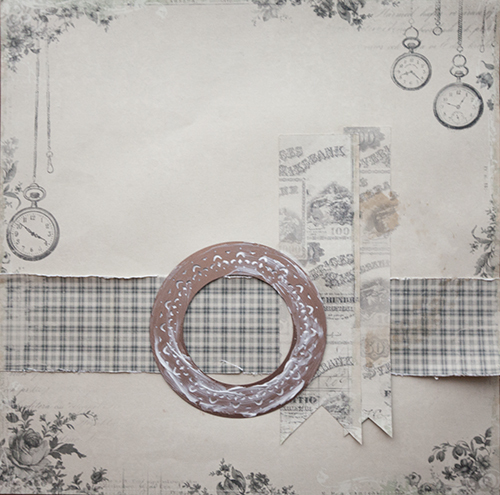 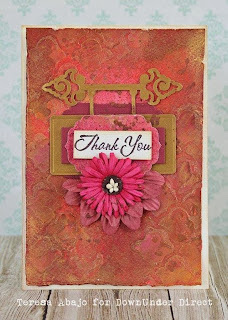 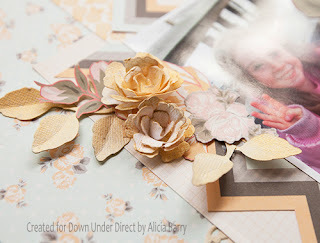 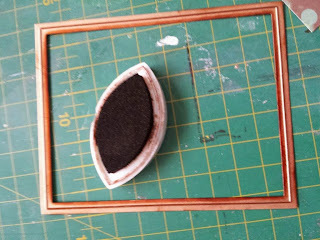 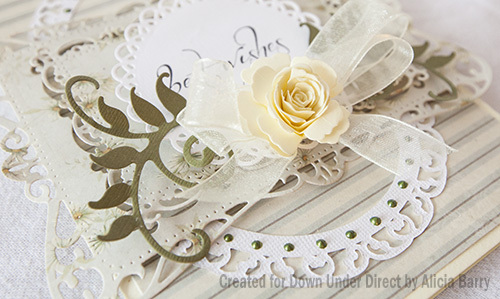 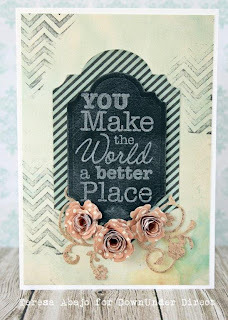 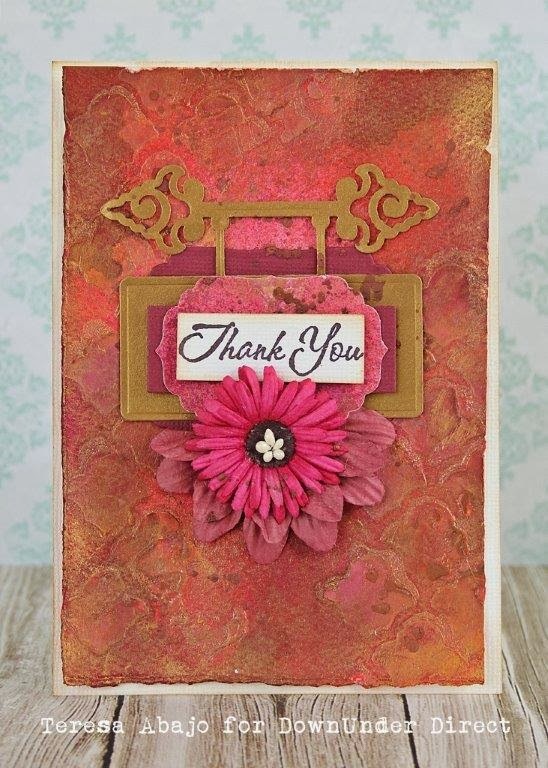 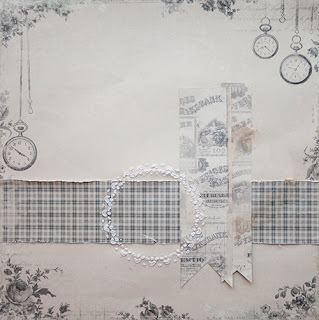 This month I have been playing with Spellbinders dies as stencils for creating textured backgrounds. 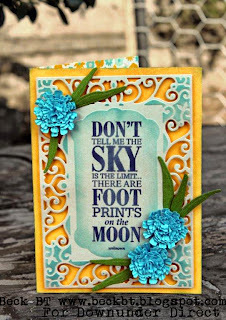 This is is a fairly subtle technique with lovely results. 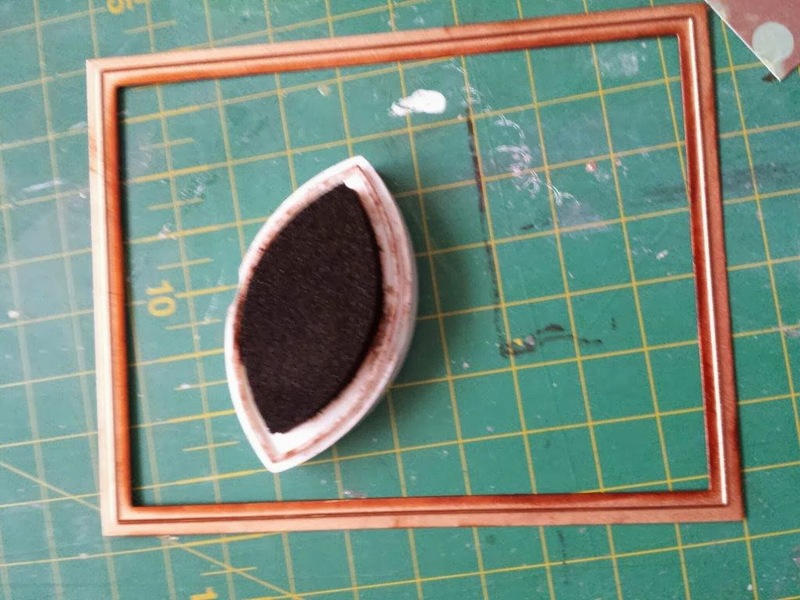 The first thing to note, is that not every die will give you the best results with this technique. Turn your dies over to the smooth side and look for one that has lots of not too small details in the negative space. 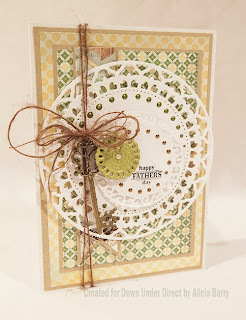 The large Splendid circle die is perfect for this. 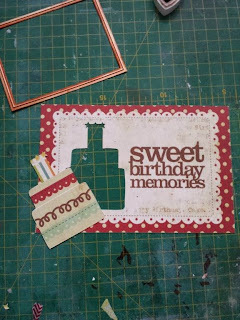 Adhere any background elements first. 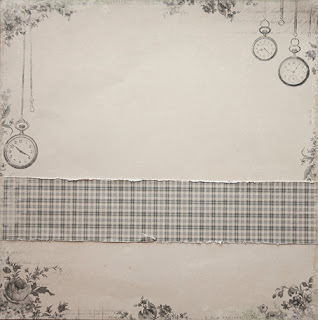 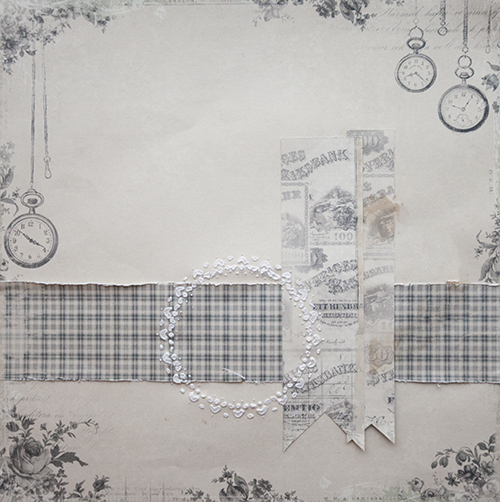 I have added a 6cm strip of co-ordinating paper across my layout and some vertical strips with notches cut into them. Place your chosen die SMOOTH side up onto your layout. 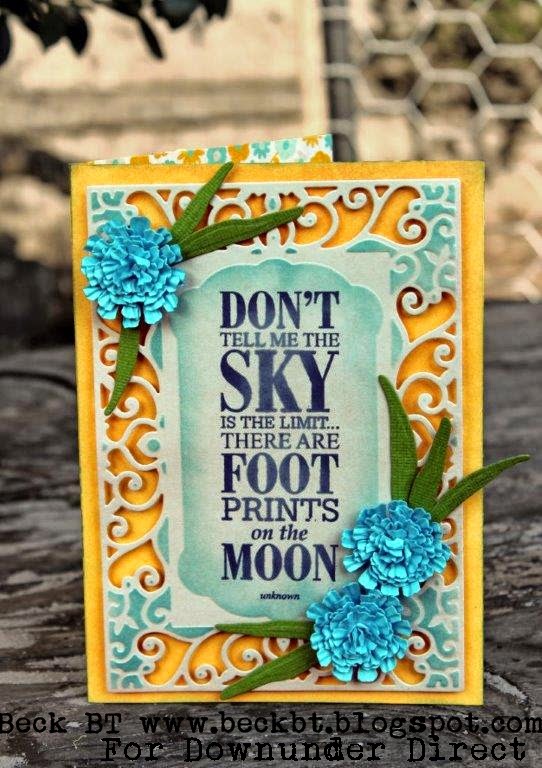 (I recommend taping it down if possible). 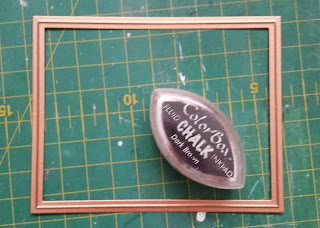 Apply texture paste over the die, ensuring that all the holes in the die are filled. 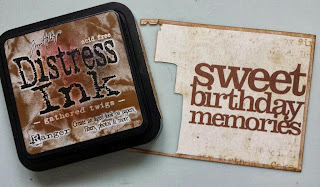 During the process keep as much downward pressure on the die as you can to prevent the paste "bleeding under the die, so you get a clear image. 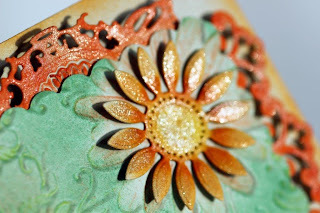 Place aside to allow the paste to start to dry. Moving it too early will result in smudges. 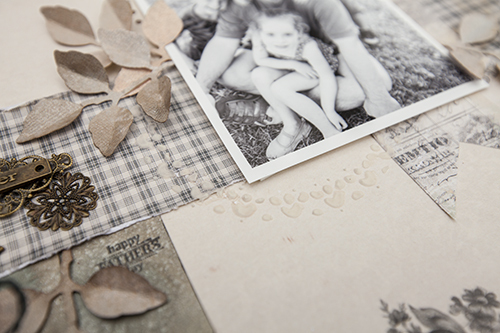 Before it dries too hard into your die, carefully remove and immediately wash your die to remove any traces of paste. 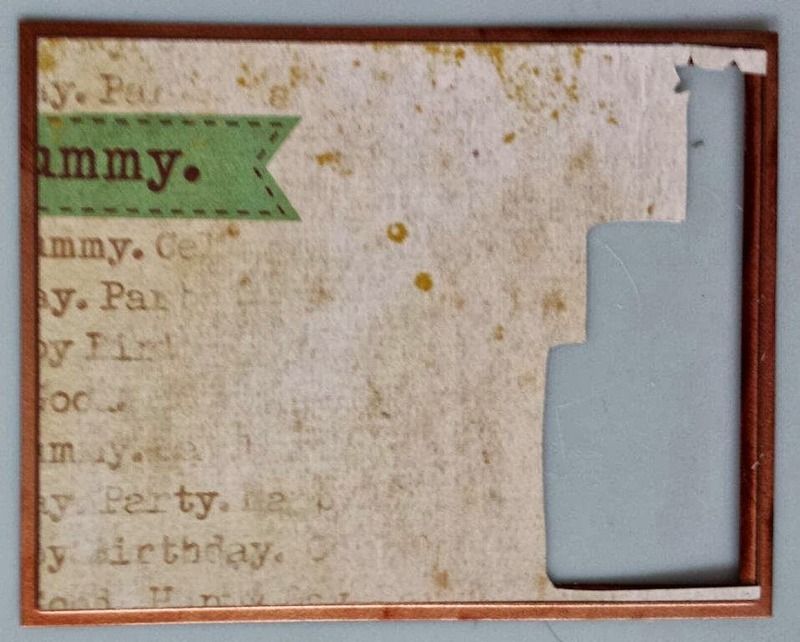 (An old toothbrush is handy). 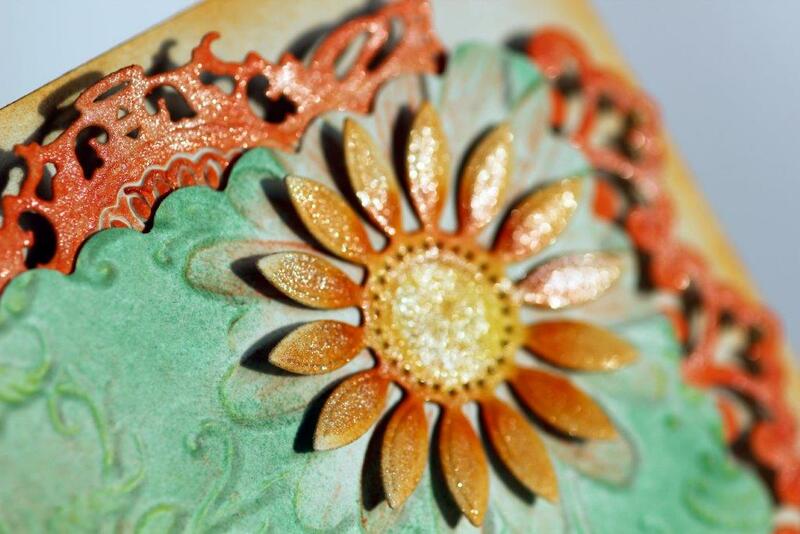 Tip: before it dries completely, consider adding a dusting of fine glitter. 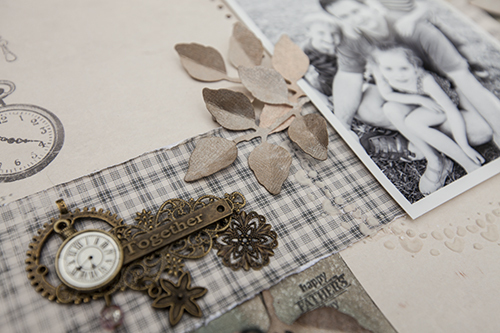 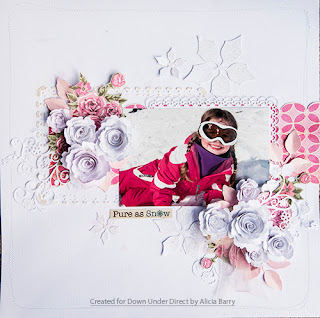 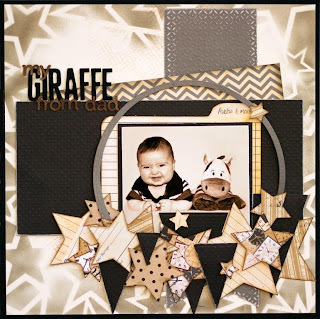 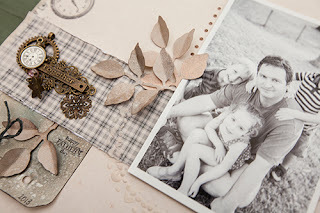 Once completely dry, complete your layout by adding your photo and embellishments. 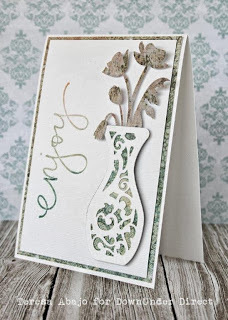 I sprayed my tags and die cut leaves with a variety of paint mists. 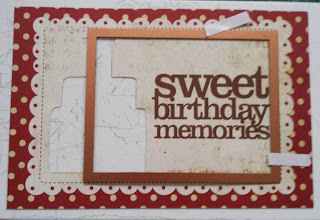 Add a title ( I used a mixture of metal embellishments and a stamp. 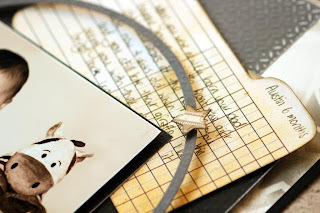 Tie twine into your tags. 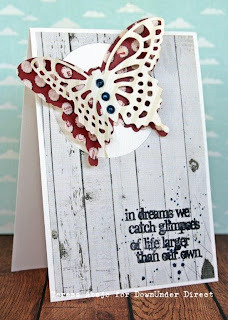 You can add colour to tint your texture paste, but avoid liquid mediums that will compromise the density of the paste. 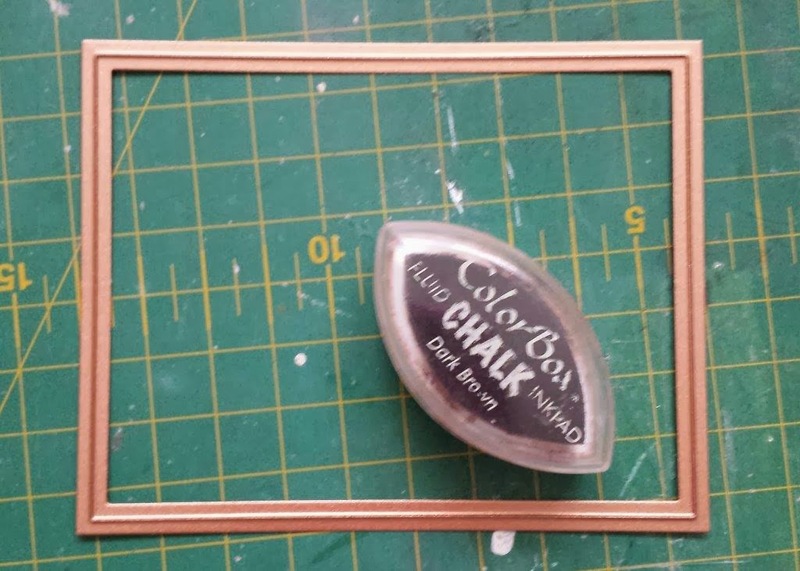 Try powdered chalk. Here's a boy-themed pocket card. 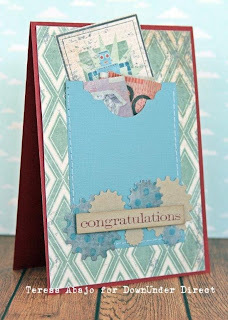 It could hold a gift card, or as in this case, cash. I have used the end of a Labels Twenty Eight die to both decorate the top of the pocket, and to make it easier to access the gift tucked inside. 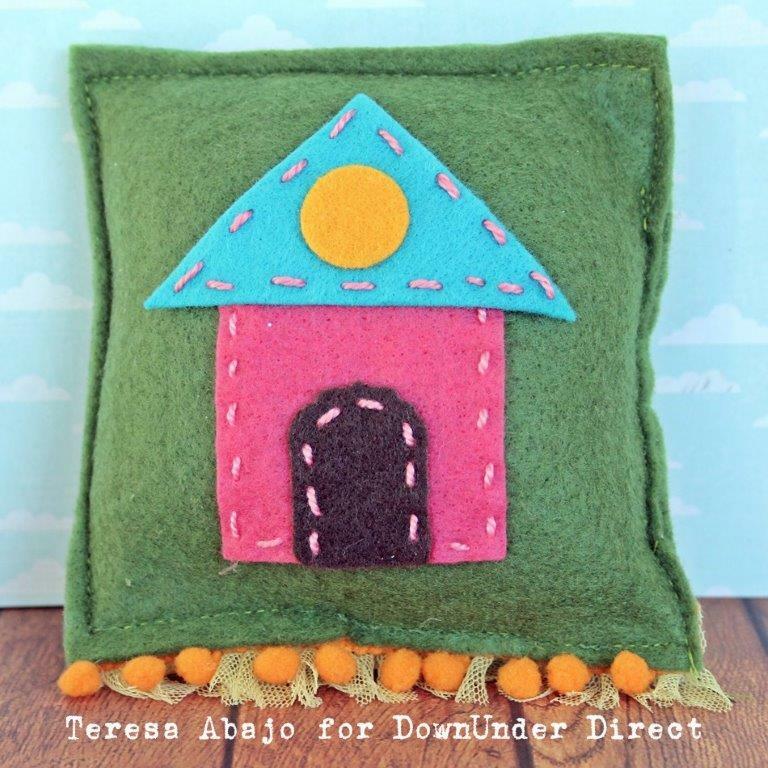 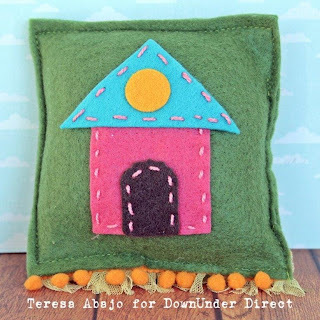 A bright and cheerful project from Beck to share today.